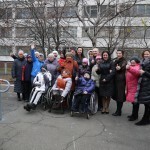 The new swimming season for children and youth with disabilities, the students of a Center of learning to swim of Desnyanskiy district, began with a pleasant surprise – the school became accessible. 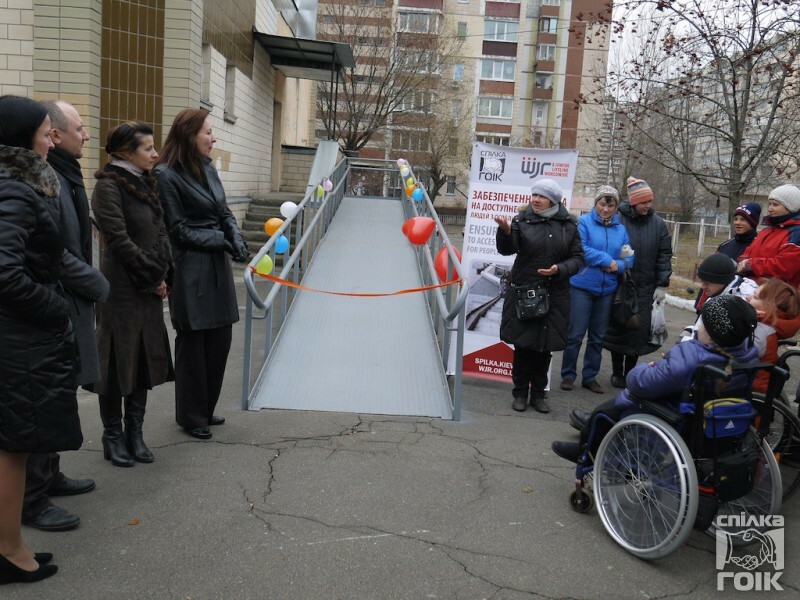 A ramp was constructed in the framework of the project “Ensuring right to an accessible environment for people with disability” implemented by Kiev Municipal League of Public Organizations of People with Disabilities together with World Jewish Relief foundation (WJR). 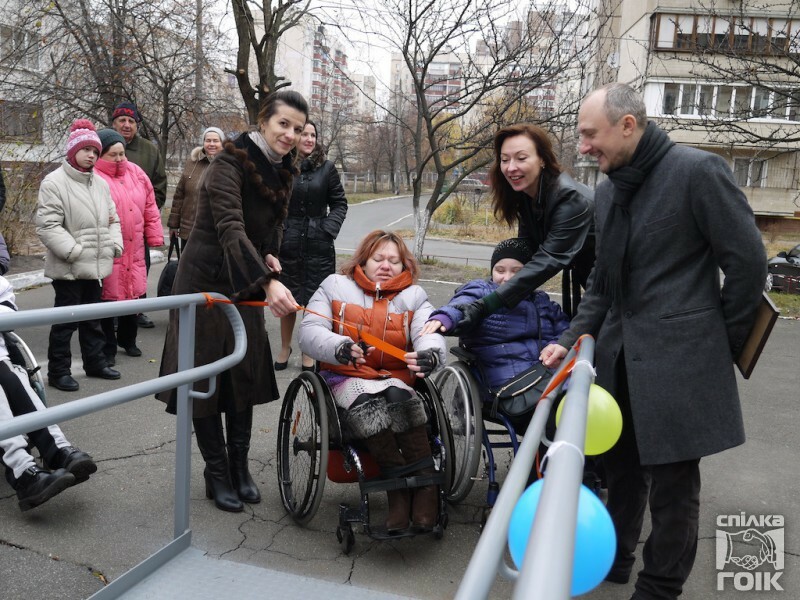 The arrangement of the ramp in the Center of learning to swim will enable children and youth with disabilities of Desnyanskiy district an access to the pool and to receiving services in medical rehabilitation. “The ramp at the swimming school is already the 8th socially significant object in Kiev which became available in the framework of the project “Ensuring the right to an accessible environment for people with disability”. 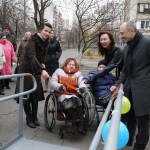 This year, 5 new facilities will also be built,” says the President of Kiev Municipal League of Public Organizations of People with Disabilities Alexander Vorona. 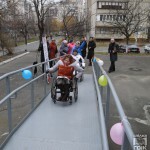 “Achieving full equal rights of persons with disabilities and their participation in social life is one of the main tasks of government and society. 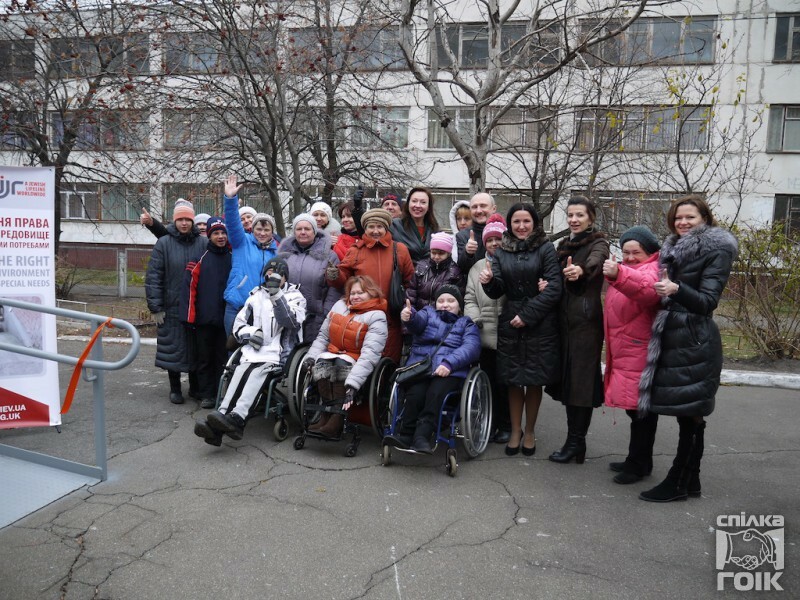 We must create the necessary conditions to enable persons with special needs for medical, social, intellectual and psychological rehabilitation, improvement of their living standards,” says century acting Chairman of the Kiev state administration Vadym Onufreichuk. “We have been searching for a pool, where it could be engaged, for a long time. 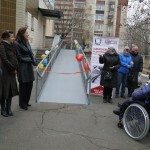 But they are all inaccessible to wheelchairs. And now, the school has become so easy and simple to go to. Thank you for the opportunity to swim freely.” – says the mother of a young swimmer.